The teeth are among the strongest structures your body has. Insufficient dental care, age, trauma, and dental disease, however, might result in the loss of your permanent teeth. And that’s not good. Many people assume that they do not need a replacement when they lose a tooth. More so if they think they’ve retained the function of their other teeth to a large extent. Missing teeth, unfortunately, can affect your facial outline, expose your gums to bacteria, and enhance the loss of your jawbone. These are permanent replacement teeth. Dental implants are anchored to a metal screw, which is inserted into your jawbone at the treatment site. Though costly, implants are convenient for patients, as they’re strong and could minimize the risk of slipping or moving. They also have fewer chances of rubbing your jawbone and gums and are therefore among the most comfortable replacement options. Implants are often used by people who have lost one or two teeth. This tooth replacement alternative comprises of false teeth with crowns or caps connected to its sides. The crown is placed above your existing teeth and provides an anchor for the false tooth across the open space. An acrylic bridge is then attached with dental cement to create a strong bond, which can withstand oral forces. Some fixed bridges have porcelain wings rather than crowns to anchor the bridge onto your teeth. They’re generally used for the replacement of several missing teeth. These are full or partial sets of false teeth made of resin or acrylic. The dentures can be removed for cleaning after meals or at night. The dentures are attached to a plate, which is fitted along the mouth’s roof and then held into place using suction. Some patients use adhesives to minimize the dentures’ risk of slipping. Partial dentures are usually used for the replacement of teeth on the front side of the mouth, as they have a minimal aesthetic impact. Your dentures might need periodic debasing, though, so it matches the changes in your mouth’s shape or you can replace any damaged false teeth. These dentures are connected to the titanium abutments of dental implants. Implant-supported dentures can be fixed or removable. These are more convenient, easier to clean, and comfortable compared to traditional dentures. Though generally considered the most expensive type of false teeth, implant-supported dentures do no rub your gums and could maintain your jawbone’s structure and comfort. The above teeth replacement alternatives will only make a difference for you only if well taken care of. As such, you might need more frequent dental visits than patients without them. 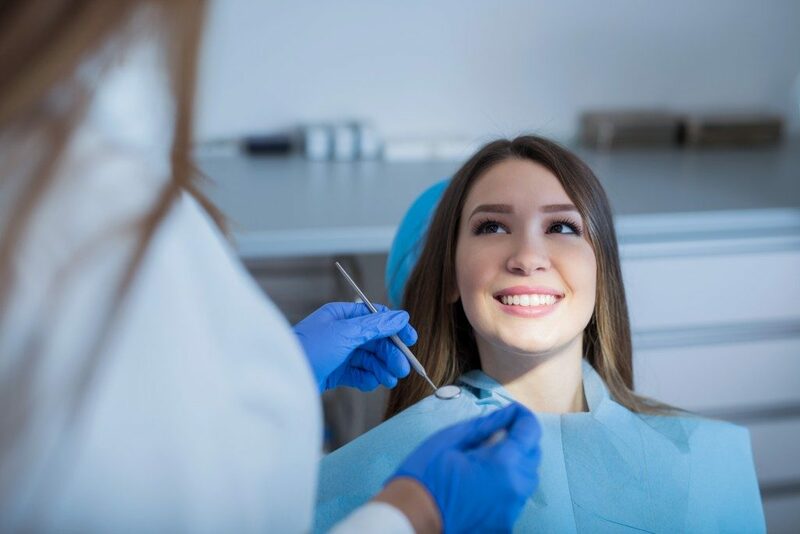 You should also adhere to a stricter dental hygiene routine once the replacement teeth are placed to maintain their efficiency and durability.